The Lifestyle Hub: Papa Chen & Jodi retells boss- nanny love story in "Be Careful with My Heart"
Papa Chen & Jodi retells boss- nanny love story in "Be Careful with My Heart"
Looking for a light and easy plot for a soap opera scheduled for showing late morning is such a delicate of a job. But for ABS-CBN, a boss-nanny love story might charm the audience at this time slot. 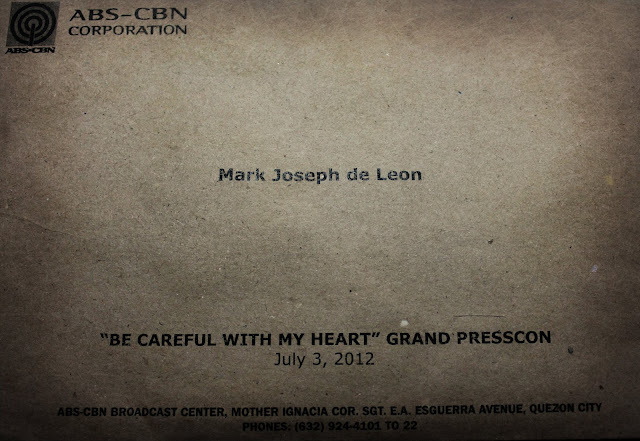 This is where Richard Yap, or more popularly known as "Papa Chen" from his "My Binondo Girl" stint, will create a love team with Jodi Santamaria for the new "Kapamilya" drama-comedy series "Be Careful with My Heart". In a press conference at the Dolphy Theater in ABS-CBN compound last July 3, Papa Chen expressed his gratitude for Channel 2 for giving him his third television role in just a span of less than a year. 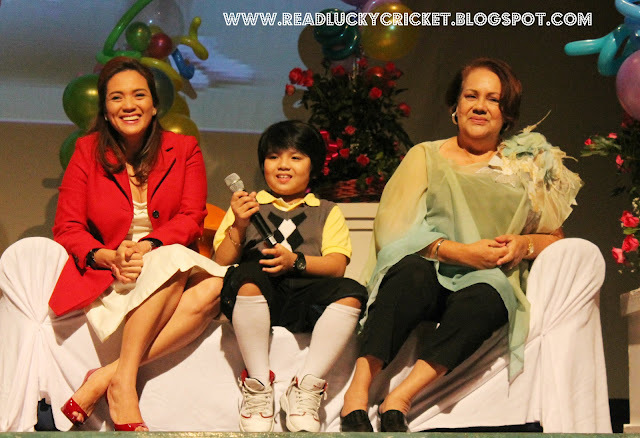 "I am so thankful for ABS-CBN because they took a chance with someone like me who is relatively unknown. I am just hoping that we can give you a good show", Richard said. Fresh from flashing his megawatt smile for a Chowking commercial, Richard got his first appearance as Kim Chiu's estranged father in "My Binondo Girl" last year. Shortly after the series culminated, the new actor was given a guest role for the Dawn Zulueta- Richard Gomez drama series "Walang Hanggan". With still a few scenes left for that hit TV series, Richard sealed a deal for first lead role as a rich businessman who falls in love to a nanny in "Be Careful with My Heart". played by Jodi Santamaria in the new ABS-CBN drama series "Be Careful With My Heart"
The main cast are joined here by newcomers (left to right) Jerome Perez and Janelle Salvador. Mutya Orquia (leftmost) plays Papa Chen's youngest daughter in "Be Careful With My Heart"
while Aiza Seguerra will portray, for the first time, a mother role and sister of Jodi Santamaria. Jodi Santamaria, on the other hand, is as equally excited as Yap as this is also her first lead role in a television show. "I've been around (in show business) for sometime and did numerous support roles. But this is the first one na masasabi ko na talagang bida ako", the young actress shared. Jodi appeared in numerous ABS-CBN soaps including "Tabing Ilog", "Walang Kapalit", "Tayong Dalawa", "Tanging Yaman", "Noah", and "100 Days to Heaven" where she portrays supporting characters. For the casting, "Be Careful with My Heart" creative team shared that Richard Yap and Jodi Santamaria are both the perfect choices for their roles. "We are adapting a classic love story like what we saw in "Wanted Perfect Mother" and even "The Sound of Music". "There is a pressure to add freshness in it. So for the rich businessman, we wanted someone with no romantic association yet, as far as the viewers are concerned. Richard can give us that. And we want a leading lady who we don't see often for the past few months on TV. That would be Jodi", they revealed. New faces will also be seen with Yap and Santamaria in this television show which casts include newcomers Jerome Perez and Janelle Salvador. Janelle will play the character of Richard's eldest daughter while Jerome will be her love interest. This is also the comeback of veteran actress Divina Valencia and character actor Robert Ortega. Gloria Sevilla and Sylvia Sanchez completes the powerful cast. 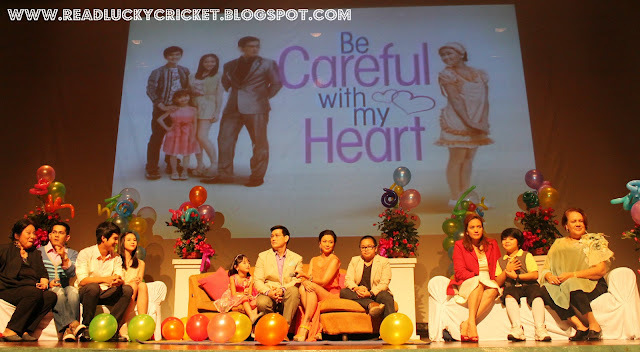 The main cast of ABS-CBN's newest late morning drama-comedy series "Be Careful With My Heart"
during it's press conference at the Dolphy Theater in ABS-CBN last July 3, 2012. Robert Ortega and Gloria Sevilla. Meanwhile, drawing massive applause from the members of the media during the presscon is singer and actress Aiza Seguerra. Aiza reveals that this TV series will also be the first where she will portray a character of a mom. "Naka-Oo nako (to the role) when they said na magiging nanay pala ako dito. But I will be portraying here an astig nanay. Hindi naman yung nanay na naka duster", she quipped. When asked if she's open to being a real life mother, the former child-wonder said, "Why not? 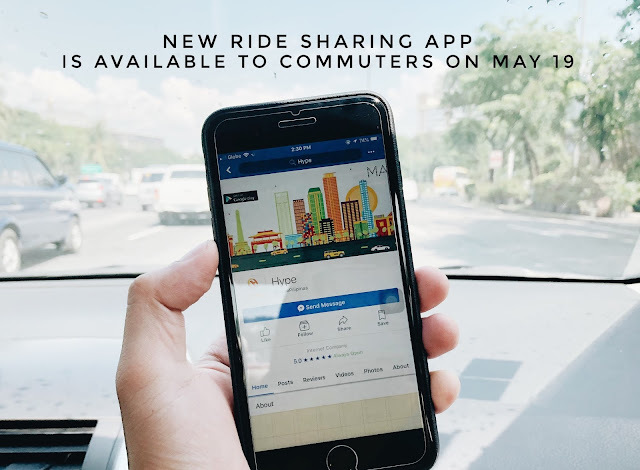 May matres naman ako! ", to the amusement of the press. Richard shares that it is possible for him to fall inlove with a nanny in real life. "Given the circumstances, I think that's possible. We can't really choose the people we love", said Philippine television's biggest breakthrough actor last year. On his massive surge to popularity "Papa Chen" wants to maintain the simplicity of his life as much as possible. "I don't think of myself as popular. I still do the same things. I still go to work. I don't think I am any different from who I am before. It's flattering if people will consider me as such (a heartthrob) pero medyo mature na tayo. Di na tayo teenybopper so I don't let that get into my head", the business man explained further. "Be Careful with My Heart" is directed by the multi-awarded Jeffrey Jaturian and Mervyn Brondial and will anchor ABS-CBN's "Prime Tanghali" block starting Monday, July 9. It will be shown before "It's Showtime". Here's a video I took during one of the interesting portions during the press conference. and some chosen bloggers to the event is this sealed press kit. The bloggers having fun even before the event started.